Y2E2 Building at Stanford University | TROX USA Inc. The Jerry Yang and Akiko Yamazaki Environment and Energy Building (Y2E2) at Stanford University, the first of four buildings planned for the school's new Science and Engineering Quad (SEQ-2), opened in 2007. The $118 million, 166,000 square-foot project was designed by BOORA Architects with engineering firms ARUP and ACCO. The 3-story building contains classrooms, laboratories, offices and support spaces and was designed to meet the LEED and Labs21 platinum performance levels. 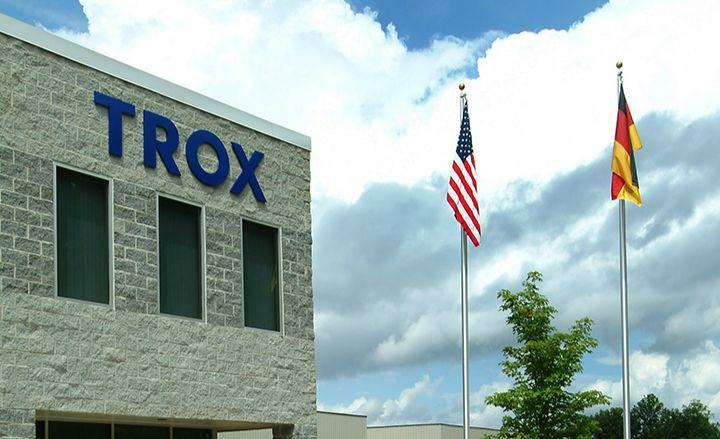 In this project, TROX USA provided active chilled beams Type DID602 for classroom and office cooling, a key component to achieving both improved energy-efficiency and improved air quality in the building. The installation of TROX active chilled beams in Y2E2's classrooms and offices helped reduce energy consumption by nearly 50 percent when compared to a conventional building of the same size. Additionally, the design reduced potable water consumption by 90 percent, making it a "Beyond LEED" facility. With an energy saving performance of this level, Y2E2 expects a pay-back of four to six years. Y2E2 is the first building of its kind in California and among the largest in the United States to use active chilled beam technology and has been recognized with numerous awards. Award-winning design with TROX chilled beams!